Consuelo Castillo Kickbusch is a renowned, charismatic, passionate and influential speaker with a mission to empower the next generation of leaders. Throughout her career, Consuelo has shared her personal knowledge on becoming an effective leader in today’s global marketplace with hundreds of schools, colleges, universities, corporations, and government institutions both in the U.S. and abroad. Born and raised along the border in a small barrio in Laredo, Texas, Consuelo Castillo Kickbusch is all too familiar with the challenges of poverty, discrimination, and illiteracy. Although she grew up without material wealth, Consuelo was taught by her immigrant parents that she was rich in culture, tradition, values, and faith. The SLS serves as the cornerstone of USHLI’s campaign to create a culture of education in which academic persistence will become a priority in every Latino household. The program focuses on motivating students to stay in school, improve their academic performance, graduate from college, and pursue and successfully complete some level of post-secondary education or training. Since 2011, the SLS has reached over 820,000 participants across 39 states and over 2,900 organizations. 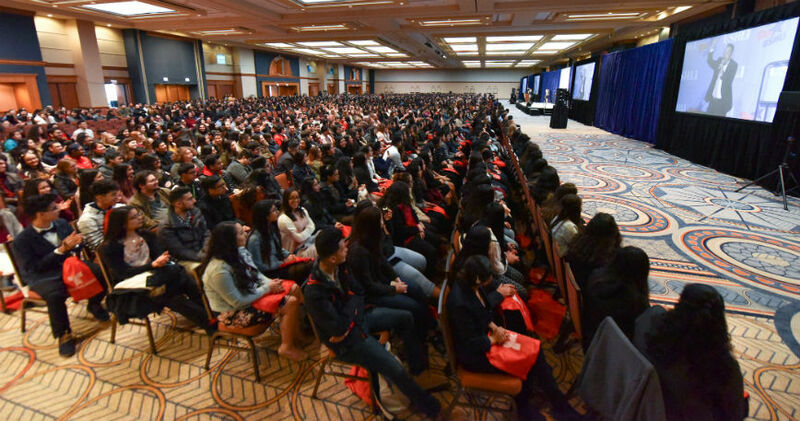 USHLI will host the Student Leadership Series Launch at the Sheraton Grand Chicago Hotel from 8:30 AM to 2:00 PM. The registration fee is $2 per attendee, which includes lunch. Schools wanting to attend the event are expected to provide their own transportation. The event is open to all high school students (9th-12th) regardless of race or ethnicity and the dress code is business/ business casual. Registration for the event ends February 8, 2019. For more information, please contact Adrián Calderón at acalderon@ushli.org. Previous Previous post: Denny’s HFE Campaign & USHLI Partner to Award Scholarships!